Education is a spiritual need. It is equally impossible for a man to stop breathing, praying and exploring the depths of the holy scriptures and tradition. Facilitating this exploration is the main goal of education. 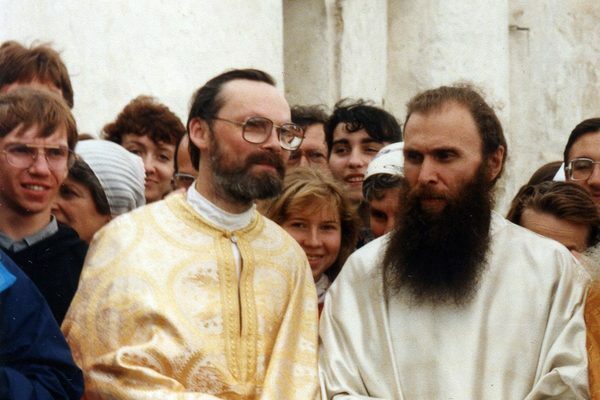 In July 1988, Father George Kochetkov unofficially established St Philaret's Institute. Thus his long-awaited dream came true: there was a theological school for all levels allowing students to enter the church tradition in a profound way. The Institute became the first theological school in Russia (not counting the two official Academies and two seminaries which had existed since the Soviet period). Later St Philaret's Institute received the acknowledgment of the offiсial church and state educational structures, while being committed to its major goal - introducing students to the knowledge of God and divine Revelation, making them active participants in the church mission rather than passive listeners. 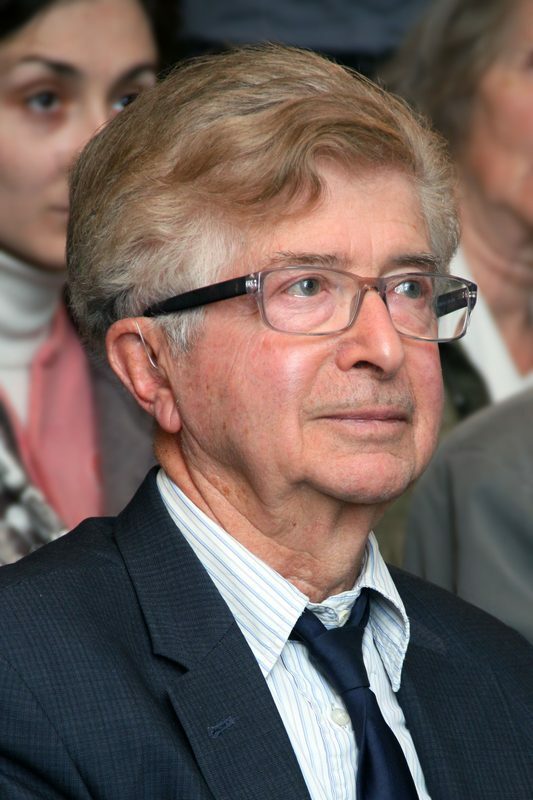 Throughout his work in the Institute, Father George has consistently emphasized the educational quality as well as the dynamic development of the Institute as an educational and cultural centre. 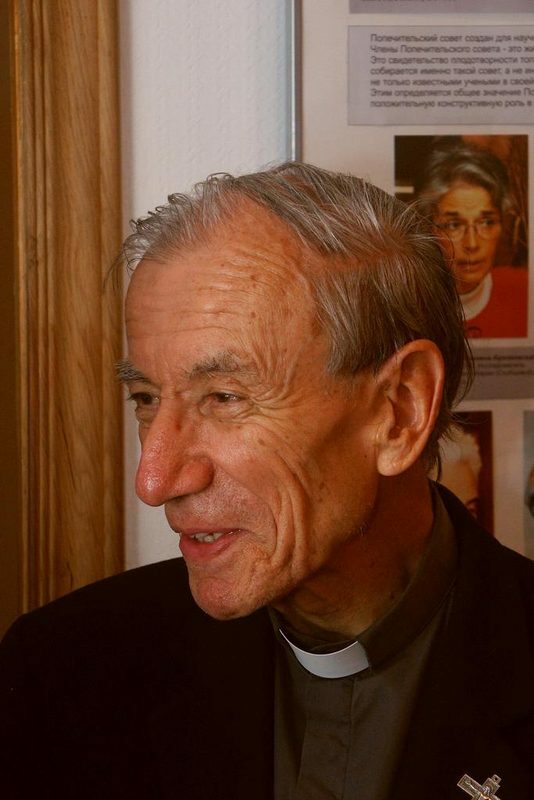 Father George is also Dean and Professor of the Faculty of Missiology, Cathechetics and Homiletics. 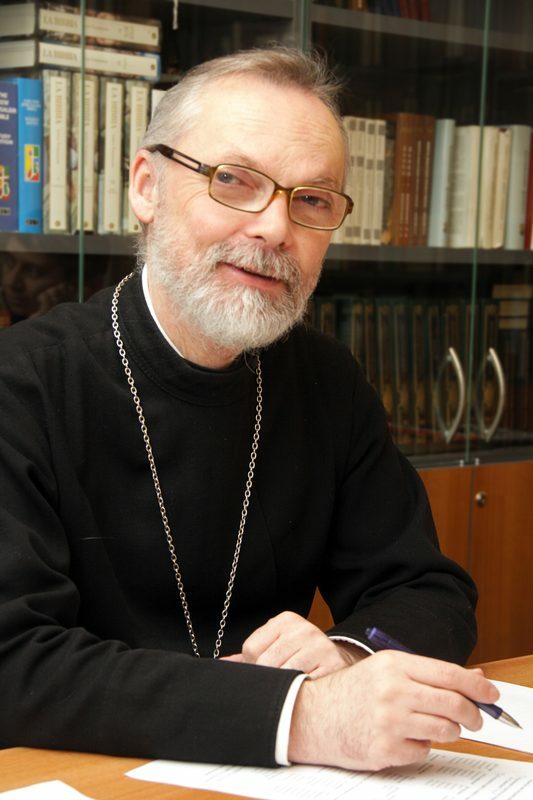 He lectures in the following disciplines: Introduction to Eastern Orthodox Mysticism; Problems of Missiology, Cathechetics and Homiletics; Problems of Sacramental Theology; Problems of Ecclessiology; Problems of Christian Mysticism. We have every reason to thank God as we celebrate 25 years since the foundation of our Christian Orthodox Institute, in Western terms a small university. Together we can say, "Praise the Lord!" Christ's first disciples were called just that: 'disciples'. Discipleship was always the quintessential element in their lives. They were sent out to 'make disciples of all nations', which required them to undergo discipleship first. But even as they were making disciples they themselves were going through learning based on the God-given experience of life, faith, action and ministry. Christ Himself sets an example for this kind of learning, or rather, opening ourselves up to the mysteries of the Kingdom of Heaven. For the disciples, the nature of these mysteries was far from purely informative. To this day, a Christian cannot truly serve God and the Church in the absence of relevant training, knowledge of the tradition and an opportunity to develop spiritually, mentally and intellectually. It was inadequacy of spiritual education that brought us to the 1917 revolution. History has demonstrated that those who would never go beyond ritual aspects of church life, the ones who would 'kiss the Holy Book' while being ignorant of the message it contained, were very quick to renounce their faith. The break in the unity and the continuity of the Church tradition and life means that today each one of us has to invest additional effort in restoring the unified flow of tradition. We ought gratefully to embrace all the best practices, both old and new. An Orthodox school cannot be dissociated from the Church even if, formally, it is a secular institution. It is bound to be both traditional and highly responsive to all modern day issues concerning individuals, society, science and culture. Moreover, it should aspire to bridge the actual gap between the secular (but not the worldly) and the ecclesial (Christian and spiritual). Since it is the Lord Himself who fills our life with the Spirit and meaning, we ought to uncover this luminous gift both in ourselves and in others. May God help us all! In 1995, the Institute was named after St Philaret of Moscow (1782-1867). A brilliant preacher, theologian and a talented administrator, he played a key role in the establishment of the Russian theological education. The well-known Synodal translation of the Bible into Russian was largely fruit of Philaret's labour. This work was fiercely opposed by forces which did not want Russian people to be an educated nation. In 1825, they went as far as burning the whole edition of the first eight books of the Old Testament. 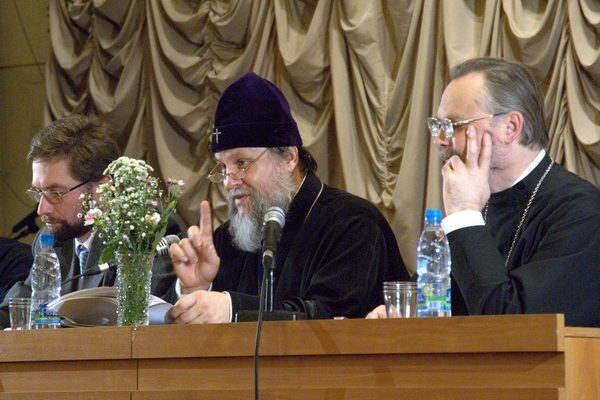 Still, Metropolitan Philaret continued working on the translation. He did not live to see the full Russian language version of the Bible printed in 1876. 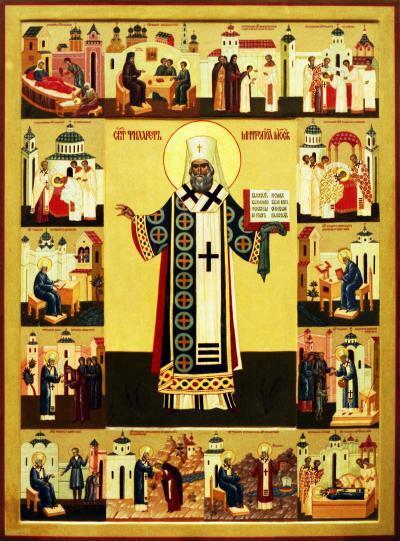 Another work completed by Saint Philaret that bears major significance for the Church is the 'Longer Christian Catechism of the Orthodox Catholic Eastern Church' outlining the foundations of Orthodox Christian faith and life. 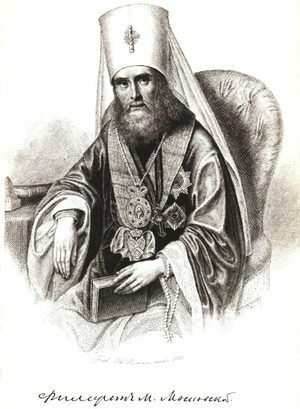 Our institute was not named after saint Philaret immediately. It was not by chance that we chose the name. Saint Philaret knew that over centuries the Church had accumulated a plethora of issues and that our people were insufficiently educated and insufficiently united as a consequence. Yet, he believed in the Church! He was a man who strengthened Church life and supported the education system. 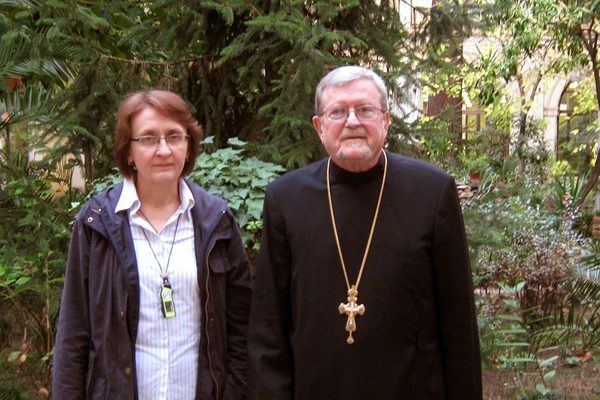 The close circle of Fr Georgy's friends and like-minded associates grew and developed along with the institute. Many of those who became part of the Church at the same time decided to devote themselves further to the shared activity of raising awareness, catechetical ministry, mission and theological education. 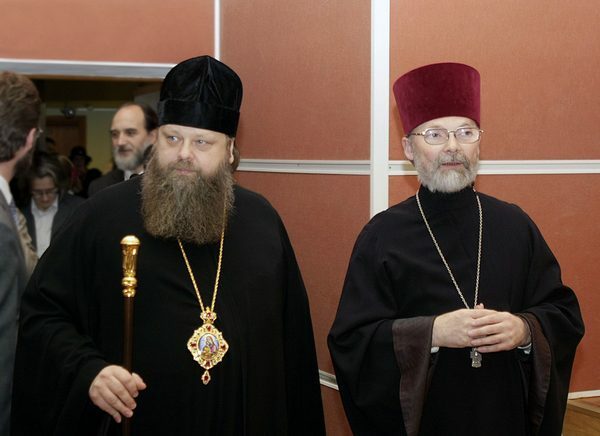 Today, these people are part of Transfiguration Brotherhood, a fellowship of minor Orthodox brotherhoods across Russia and neighbouring countries. The institute owes much of its welfare to the care and active involvement of the Brotherhood. The majority of SFI academic and support staff belong to the Brotherhood united by an aspiration to establish an environment conducive to openness and trust. This creates a special atmosphere at the Institute, helps confront today's widely accepted view of education as simply a service and also avoid the opposite extreme, which is the detachment of 'academic theology' and its irrelevance to life. 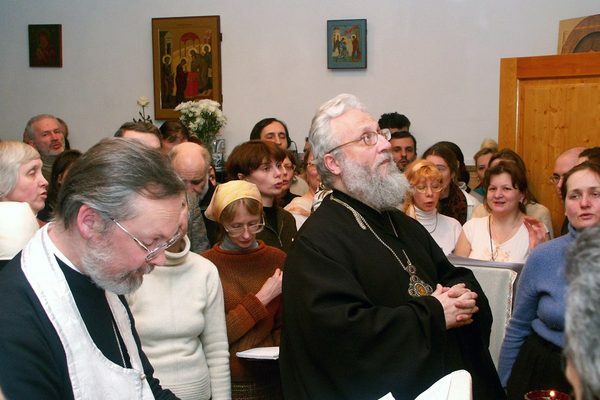 Conversely, St. Philaret's Institute creates opportunities for the Brotherhood to explore traditional practices at a more profound level, discover the various strata of Church tradition and wisdom and develop the ability to stay spiritually attuned. Saint Philaret’s Institute's Board of Trustees was set up in 1996 and comprises outstanding Christian theologians and cultural figures of our time. All of the trustees are famous academics and cultural luminaries who also bear witness to the Truth in the life of today's Church and society. It means a lot to us that they are openly associated with the institute and stand up for it during challenging times. Many of the trustees teach at the Institue and contribute to its academic work. 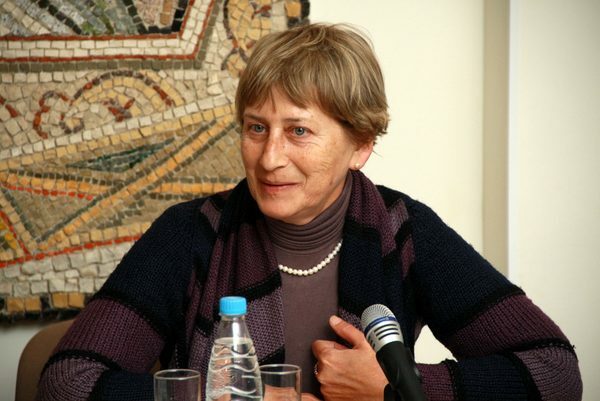 Olga Popova, Ph.D. in Art History, Professor of Moscow State University, and the poet, philosopher and translator Olga Sedakova, Doctor of Theology, have been upholding the tradition started by Academician Sergey Averintsev of delivering lectures at the start of a new academic year. 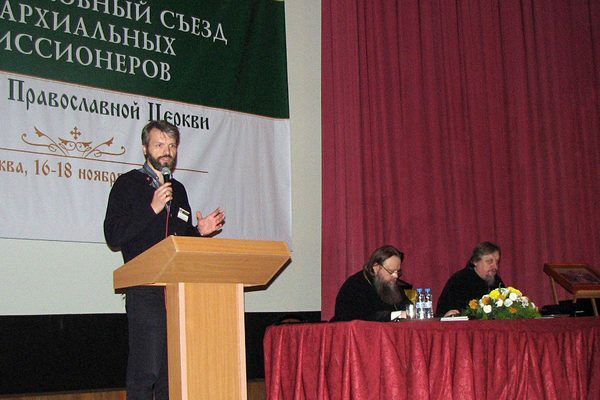 Among those who have developed special lecture series for the institute are Archpriest Pavel Adelgeim and Deacon Vasily (Karl Christian) Felmy, Doctor of Theology. 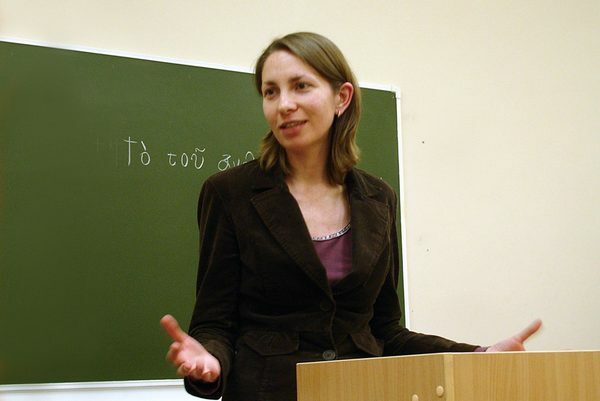 Nikita Struve, Editor-in-Chief of 'Le Messager' magazine, Anatoly Krasikov, Ph.D. in History, and others have often spoken at conferences, seminars and meetings held by the Institute. 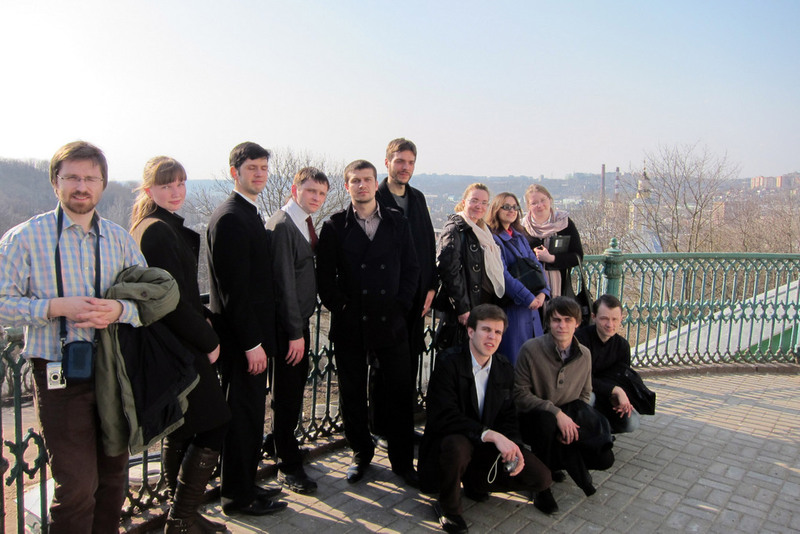 The school of theology offers an undergraduate programme in theology. The full-time programme is delivered over four years while the evening and the distance learning programmes take five years to complete. Graduates are awarded an officially recognised bachelor's degree in theology. The school of religious studies provides opportunities for continuing professional education in the field of religious studies with evening and distance learning programmes delivered over two years. Graduates receive a certificate of professional retraining in religious studies. Advanced training courses in religious studies can be individually tailored. The institute offers a two-year pre-bachelor programme in theology (Theology college). Full-time, evening and distance learning options are all available. College graduates receive a certificate of advanced training. 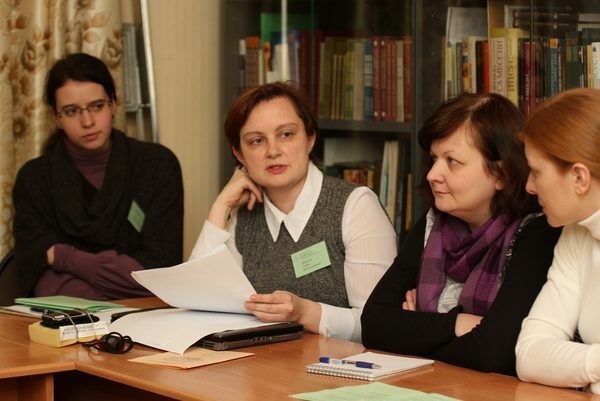 A short-term course 'The foundations of orthodox culture' has been developed for education professionals. A full-time 10-day training programme and audio taped lectures for distance learning are available. A certificate of short-term advanced training is issued upon completion. The School of Theology was founded at the same time as SFI. The main objective of the faculty is to make theology education more accessible. 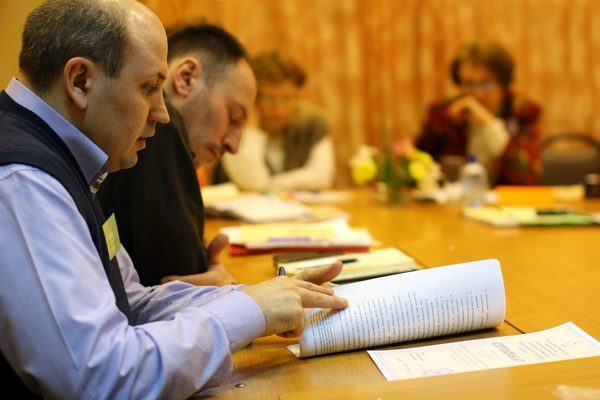 The faculty offers a comprehensive study programme in theology, Orthodox worship, Holy Scripture and Church history. The main subjects taught are Missiology and Catechetics as they are directly linked to the church tradition of instruction in the faith and therefore provide an essential foundation for all other theology disciplines. It was always through apologetics, missiology and catechesis that the church maintained a dialogue with the pagan world and deepened its selfknowledge while further exploring its faith and experience. Theological tradition can be interpreted and grasped only in the context of the church's mission in the world and its active ministry to it, particularly today when the role of Christians in society has become an acutely sensitive issue. It is impossible to be fully involved in the life of today's church without theological education. We live in a fast-paced environment and when people address their questions to the church, we must respond not merely for the sake of responding but in such a way that would satisfy their hunger and thirst for God's word. The fundamental concept behind the School of Religious Studies is individual attention to each person and their experience of faith. This allows us to avoid reducing religion to ideas (dogmas and mythology) and worship only, and our teaching - to stay away from the extremes of atheism and ideological fundamentalism. Encountering the diversity of spiritual expressions known to humanity helps students learn the skill of discerning living faith from mundane religiosity of masses. The majority of the taught courses are designed by the lecturers themselves. 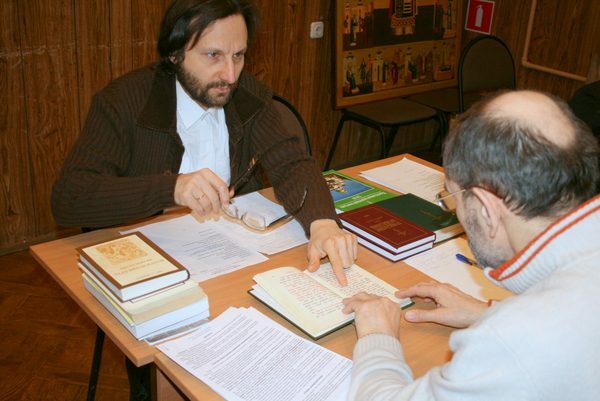 The faculty's students are offered an introduction to religion as a phenomenon, to the history of known religions and new religious movements, to the characteristic features of the cross-influence between religion and other areas of the human life such as ethics, aesthetics, culture, sociology, law and politics. The faculty welcomes Christians as well as non-believers and followers of other religions. For almost a century people in our country were deprived of the opportunity to learn anything at all about religion and to accumulate their own religious experience. Which is why, during the "anything goes" time (which for some people was the "anything-goes-make-it-a-trend" time), occult and magical practices were the first ones to re-emerge and be perceived as religion. The practice of the world religions today is marked by syncretism. therefore, without reviving the culture of studying religion at a mature level, any person will struggle to connect with authentic religious experience, to ask profound questions about the meaning of their own life and the life around them. 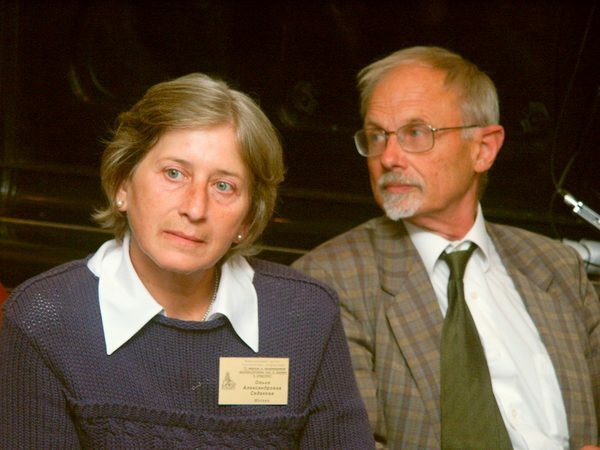 SFI Theology College was set up in 2001. Its objective is to introduce students to a wide spectrum of theological and historical problems. Programme applicants are required to hold a college or a university degree. The programme curriculum features such fundamental theology related modules as Holy Scripture, Missiology, Catechetics and Homiletics, Dogmatics and Ecclesiology, Liturgics and Sacraments. 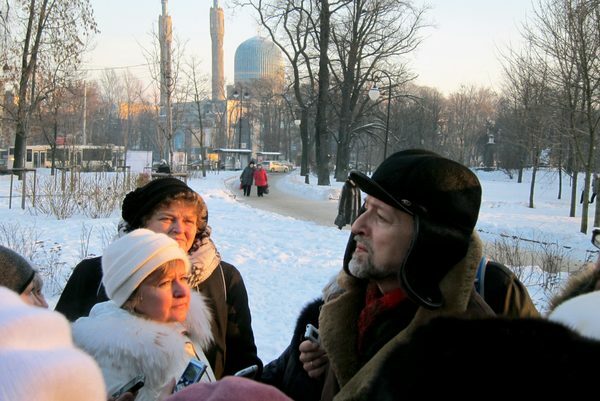 The range of additional humanities modules includes the Russian language and Rhetoric, Logic, World and National History, etc. Theology College teaching modules are concise and focus on the essential aspects of each subject. This framework enables students to form a holistic view of each subject and its main aspects, to access relevant bibliography and reference materials, and equips them for continuing to learn independently or pursuing bachelor's degree studies. 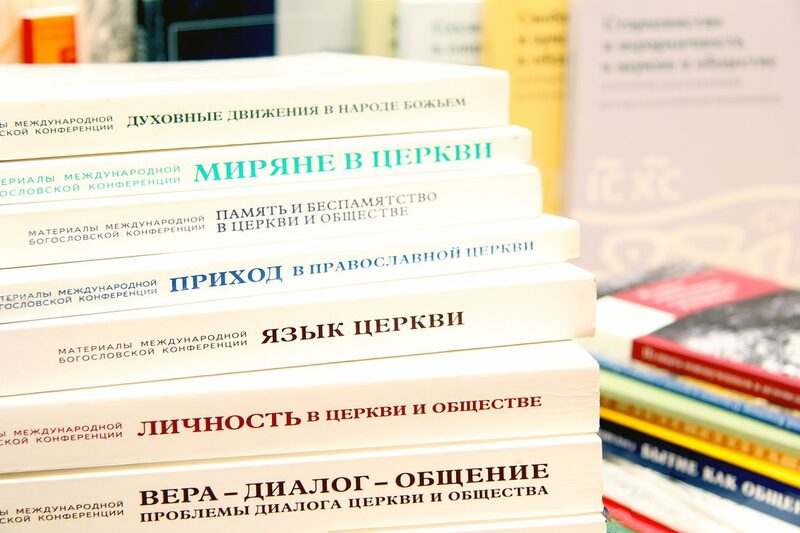 Programme graduates are qualified to teach the Foundations of the Orthodox Culture, Christian and secular ethics and other subjects at school level. They are also able to assist with catechesis. Our objective is to create a platform for fellowship and the kind of living breathing atmosphere that would encourage free discussion on any subject between students and experts. Meeting of the Lord Readings is a conference for undergraduate and posgraduate students and recent graduates, held at SFI annually since 1995. 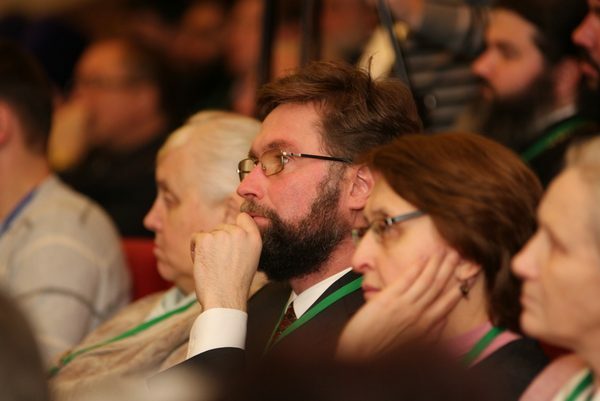 Over the years, the conference has evolved from a small internal affair into a highprofile church event attended by representatives from religious and secular educational institutions all over Russia and the world. 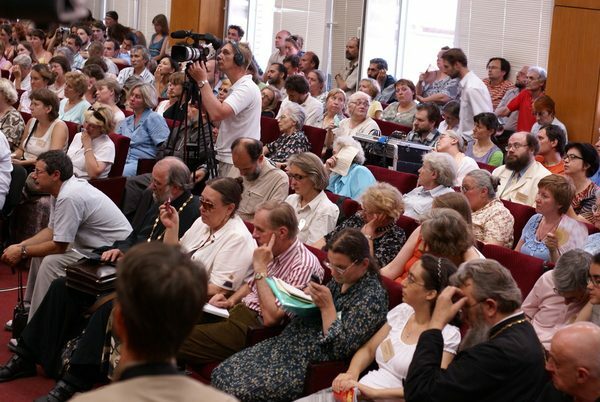 The conference brings together over 200 participants annually. Meeting of the Lord Readings is a forum for discussing underlying and contentious issues of theology, church history, mission and Christian testimony in today's world, and for pondering the philosophy and the challenges of the interfaith dialogue. 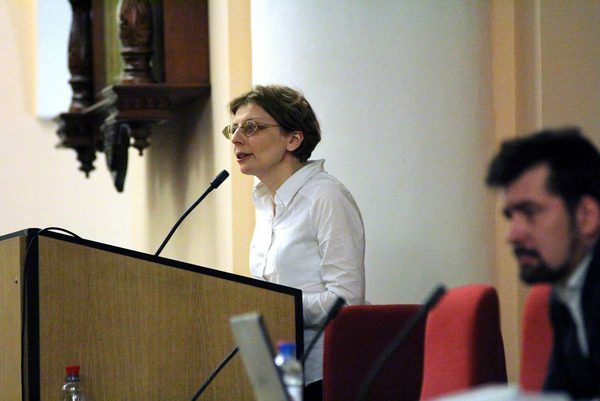 At the Meeting of the Lord Readings the speakers have an opportunity to present the outcome of their research and work in progress to an academic audience, share feedback and hone their scholarly discussion skills. SFI Students and Alumni Association was founded on 2 December 2006, the day when the Church commemorates St. Philaret of Moscow. The Students and Alumni Association was masterminded and supported by various years' students and graduates — from those who graduated in the 90-s to today's fulltime and part-time students. The Association members are united in their willingness to express gratitude for theological education and for their encounter with the authentic Church tradition. 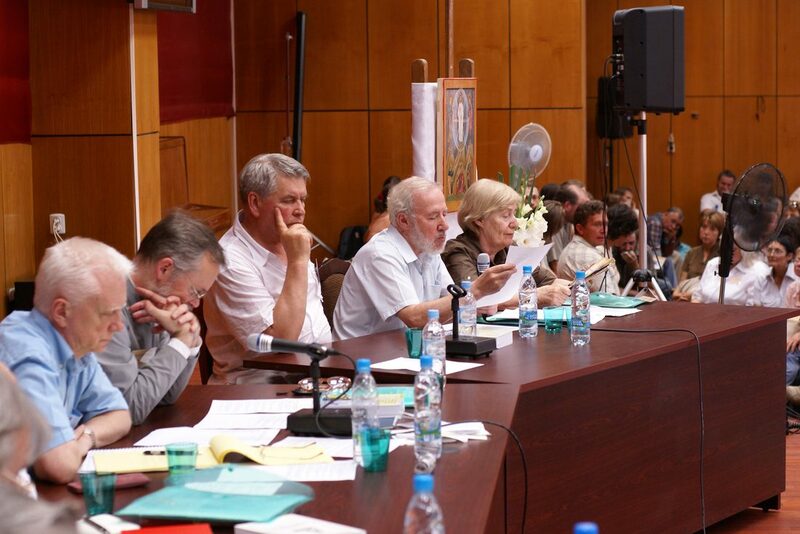 They are ready to assume responsibility for the daily life of the institute and some of its long-term projects. The association is SFI's hub of student life, its history archive and platform for networking with students from other religious and secular universities. Currently, the association has over 70 active members, many of whom have joined the institute's team of teaching and support staff. 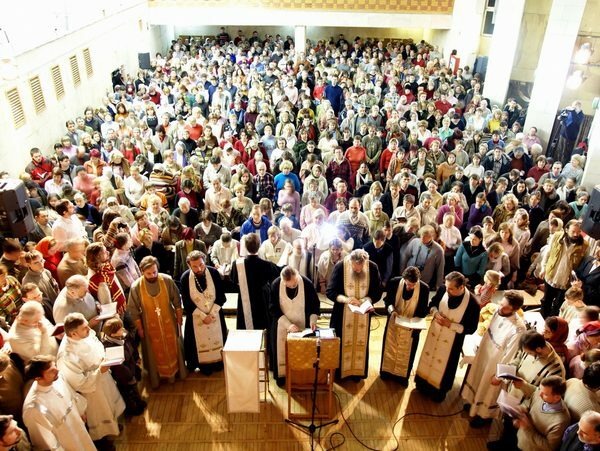 Once a year, on the day when the church commemorates St. Philaret, the association holds a General Meeting. The end of winter exams is celebrated in February with an agape meal for the Institute's students and graduates. Academic research at SFI is focused on a number of priority areas. 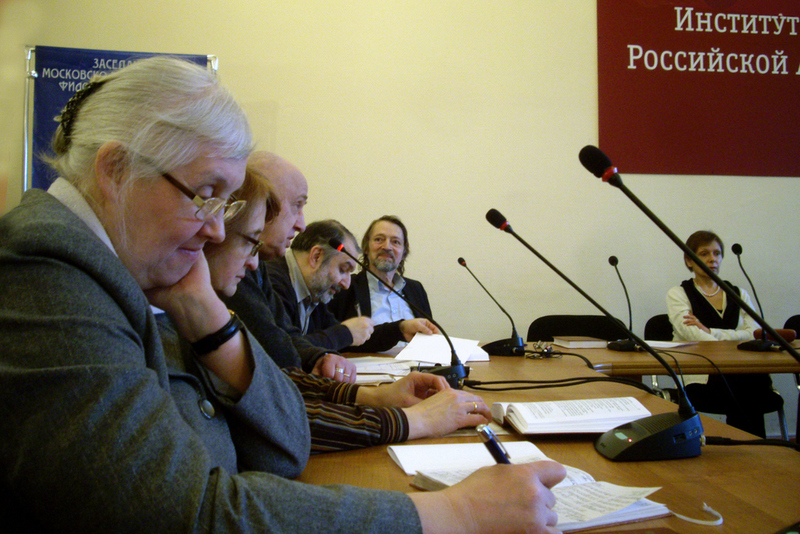 Issues of modern day mission and catechesis are at the centre of the Institute's research focus. 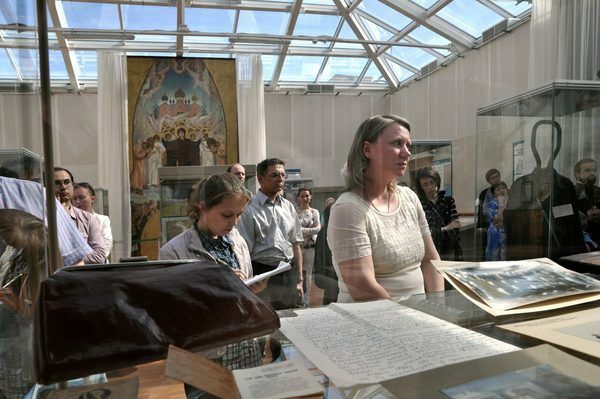 Since its inception, the team at the Department of Theology and Liturgical Studies have been working on translating the Orthodox liturgical texts into Russian. 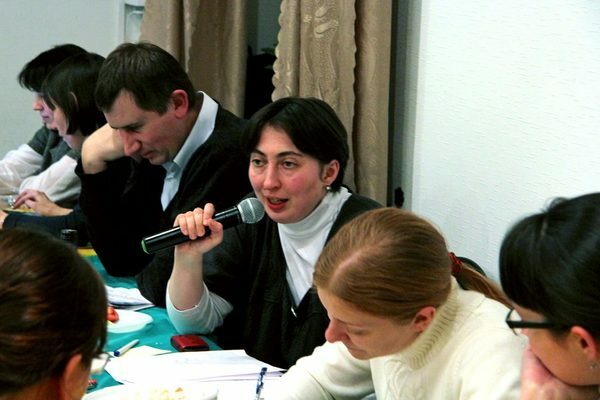 SFI's church history research focuses on the late 19th century and early 20th century Orthodox communities and brotherhoods, along with understanding the meaning in the body of experience and the legacy left behind by the new martyrs and confessors of Russia. The Institute's research in contemporary theology is centred around issues in anthropology and ecclesiology. The above areas of research are explored by the Institute's reasearch teams and senior lecturers, discussed at annual conferences and seminars, and examined by students as part of their course and final degree work. 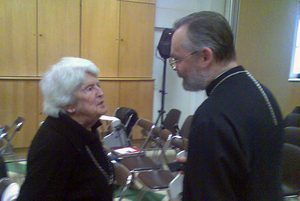 The Institute's main research focus is on studying historical and contemporary examples of missionary and catechetic preaching along with reviving the catechetic tradition of the Holy Fathers and applying all accumulated experience in an effort to assist people's entry into the church irrespective of their gender, age and social status. Catechesis is preparation for taking baptismal vows; it is a mystical process occurring in the mind and heart of a person who has put their faith in Christ and is looking to express it their actions. The Institute researches various systems and practices for teaching catechism, publishes methodology manuals and teaching aids for catechists. This work is supervised by the Department of Missiology, Catechetics and Homiletics. In 2006, the Mission and Catechesis Research and Methodology Centre was added to the department. A number of problems in the life of the Church and the catechetical practice stem from mission errors. 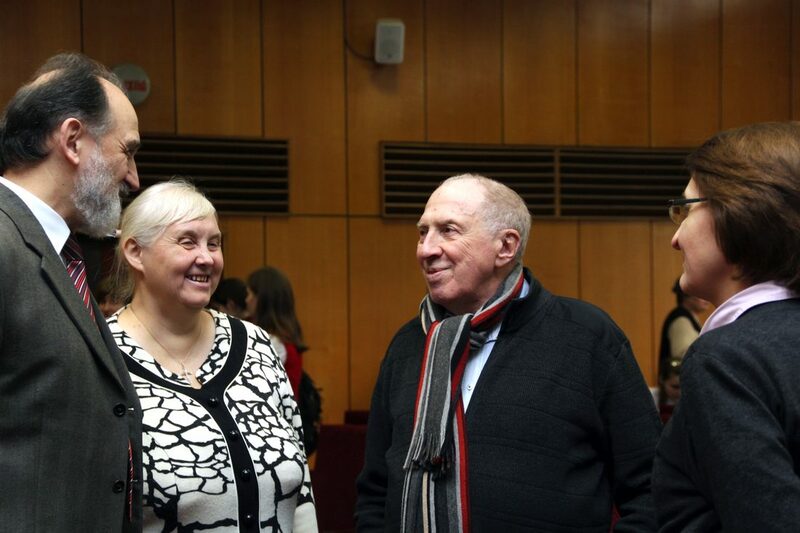 The institute attempts to apply the experience of the 19th and 20th century missionaries, analyse foundational elements of their ministry and accumulate the experience of contemporary Christian witness. For a number of years, Saint Philaret's Institute has worked on translating the order of Orthodox services from Ancient Greek and Church Slavonic into Russian. 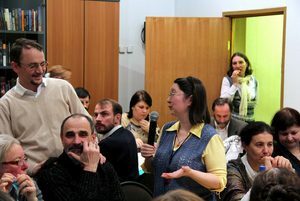 The main reason behind the translation project was to enable anyone mindfully to take part in communal Church worship. Fr. 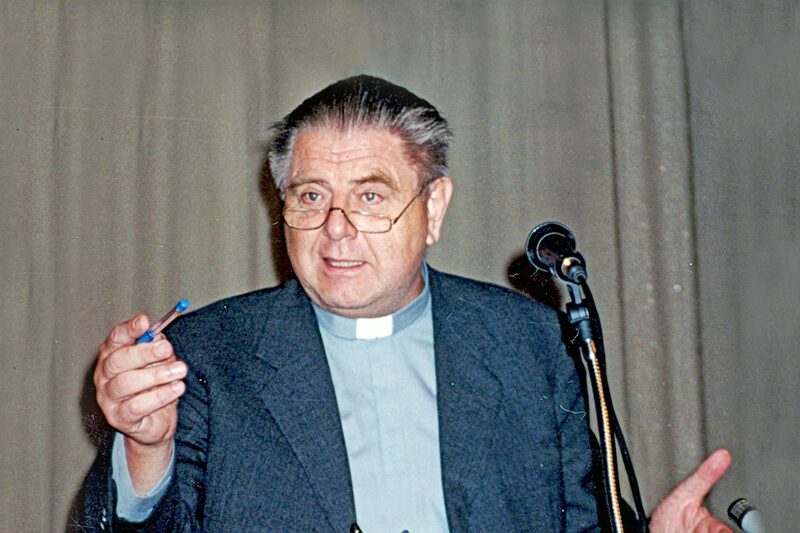 Georgy Kochetkov, SFI Rector, started translating parts of the service at the end of the 1970-s. 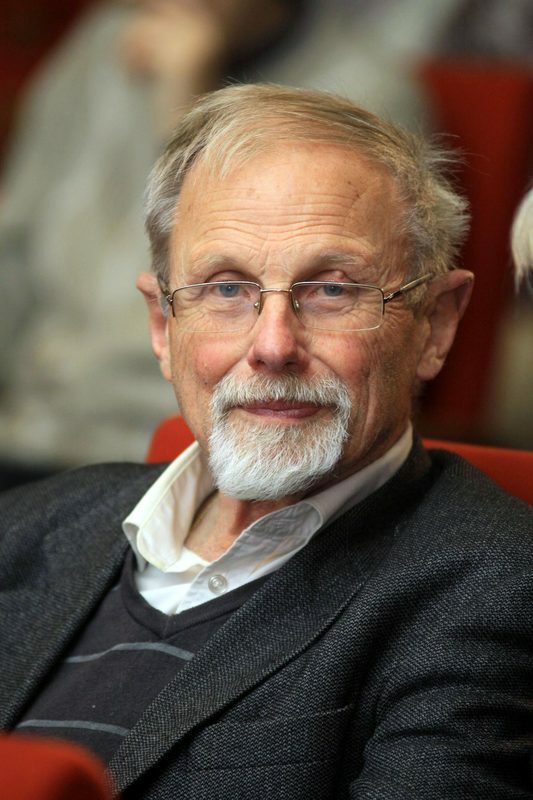 Prior to his illness and death in 2004, Academician Sergey Averintsev was also actively involved in this work. 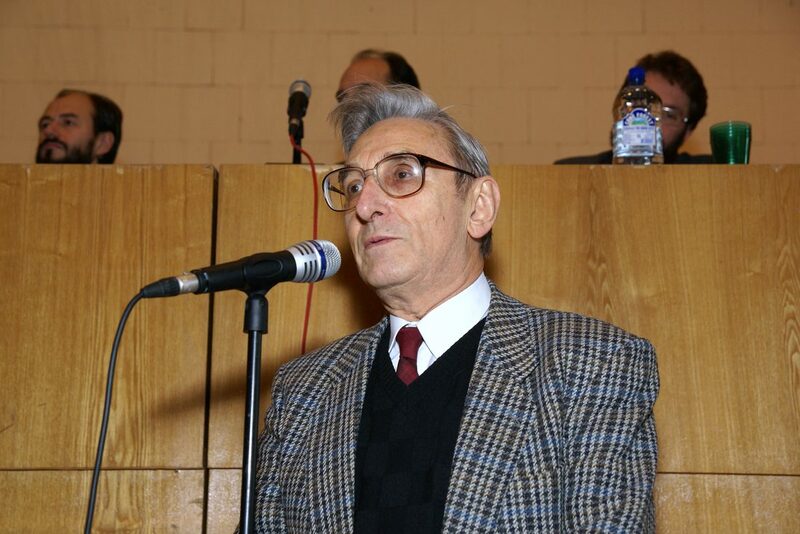 At the start of the 2000-s, Fr. 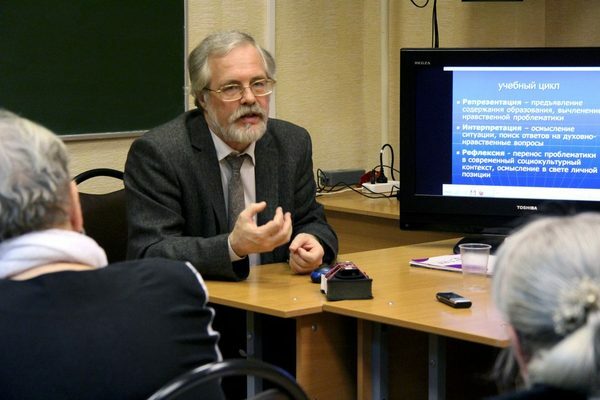 Georgy was joined by a team of professional philologists. Between 2007 and 2010, the SFI press published seven volumes in the Russian-language 'Orthodox Worship' series that featured translations of the main Orthodox rites including the daily worship services, the Divine Liturgy of St. John Chrysostom, the Divine Liturgy of St. Basil the Great, the Liturgy of St. James, the main sacraments and occasional services. The SFI team continue translating further texts along with revising and amending the existing translations. 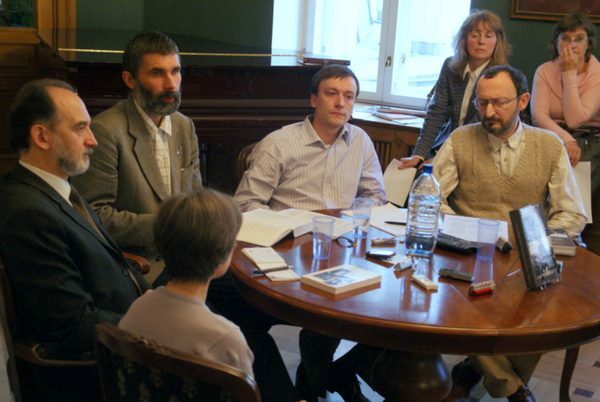 SFI's church history research is primarily focused on the life experience of the New Martyrs and Confessors of Russia, Orthodox communities, brotherhoods and all those who were able to preserve their dignity and faith in the face of human disasters heaped on them during the 20th century. 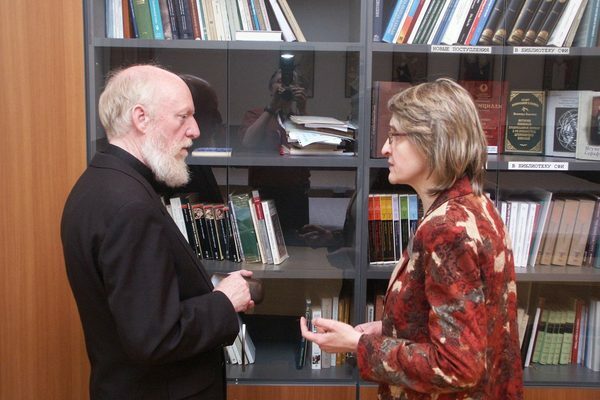 The institute studies the history of certain Russian Orthodox dioceses with special focus on the most significant events and characters. 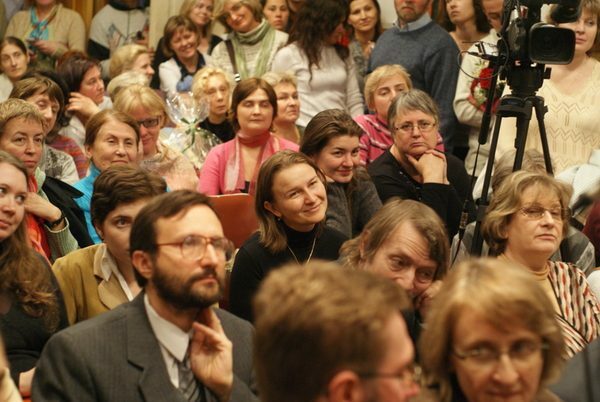 SFI students and staff collect unique testimonies about 20th century saints in the form of archive data and personal accounts of their relatives and those who were close to them throughout their life. 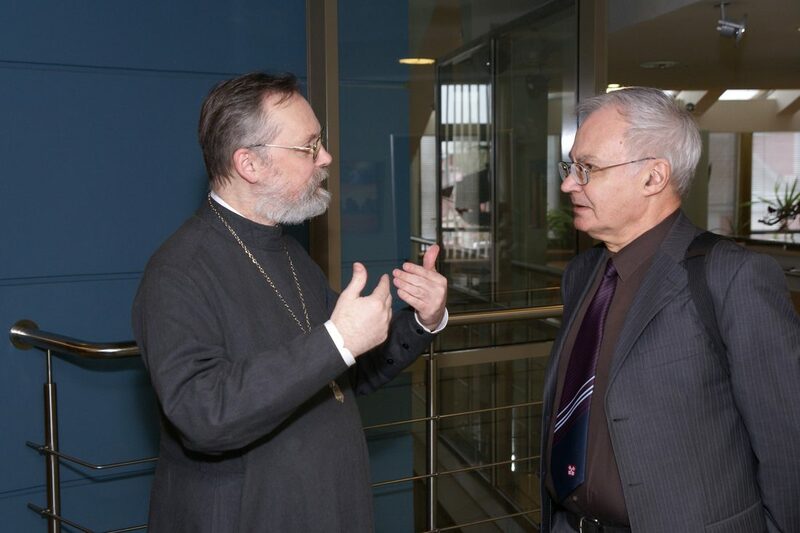 This research has re-introduced into history books the names of such church visionaries of their time as Nikolay Neplyuev and catechist Bishop Makariy (Opotsky). Throughout its history, the Institute's research has focused on the life and ministry of the communities lead by the righteous Saint Alexy Mechev, his son hyeromartyr Sergius Mechev and hyeromartyr Anatoly Zhurakovsky, the Alexander Nevsky Brotherhood inPetrograd, Nikolay Neplyuev's Holy Cross Labour Brotherhood and many others. God forbid we happen to be among those whom Christ reproaches for burying the prophets they have killed. God forbid we ever feel it is enough to paint icons, compose rites and perform them on appropriate commemoration days, while all of this will have no impact on our church life. 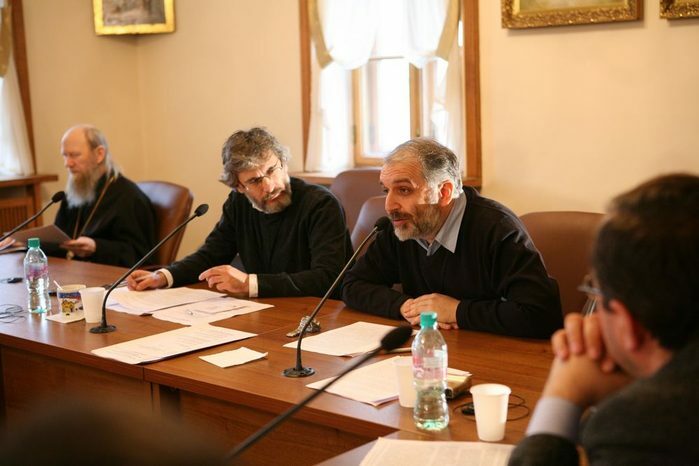 One of SFI's research objectives is to apply the legacy of creative theological thought in the field of ecclesiology and to analyse the main challenges of modern сhurch life in the light of the apostolic and patristic tradition. Life in the 20th century highlighted issues associated not only with church structure, but also the fabric and the foundations of church life; the 20th century saw the end of theConstantineera, which had lasted many centuries and had been characterised by church-state symbiosis (symphony). The change resulted in many trials and tribulations but also many discoveries in the life of the church. Ultimately, both those who survived the oppression and persecution in the Soviet Russia and those who ended up living abroad, faced the need to adjust to church life in new conditions. The issues of community versus parish and the legal principle in relation to the spiritual principle, the challenges associated with sobornost, mission and unity among Christians had been raised in the church in previous times. Many of those issues were discussed at the 1917-1918 Church Council and as part of the pre-Council consultations. Study and analysis of the historical facts and documents associated with the Council is an important part of the Institute's research. It was not only the church and its structures and outer forms that were put to the test during the 20th century. The very reality of humanity was subjected to fundamental questioning. Today, the answer to this question largely depends on internalising the legacy of the New Martyrs and Confessors, along with that of religious anthropology, which discipline originated with the thinkers of the Russian emigration. In 1914, ahead of the terrible 20th century 'revelation' about the infernal destructive force present in mankind, Nikolay Berdyaev wrote: "The time is coming to start writing up a justification of man, an anthropodicy. Perhaps, anthropodicy is the only path to theodicy, the only unwalked and unexhausted path". 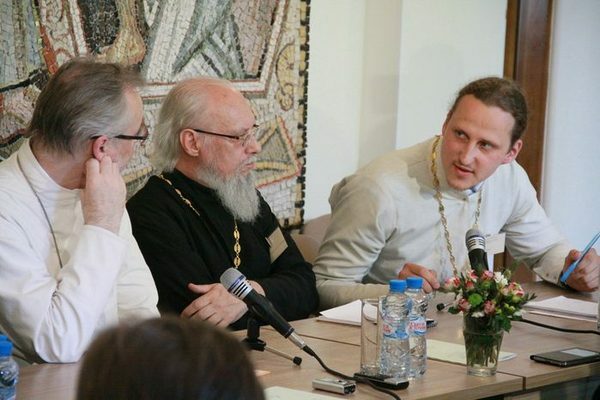 St Philaret's Institute seeks to bring together materials which comprise a theological and philosophical legacy that serves as an affirmation of man and of his place in the world. 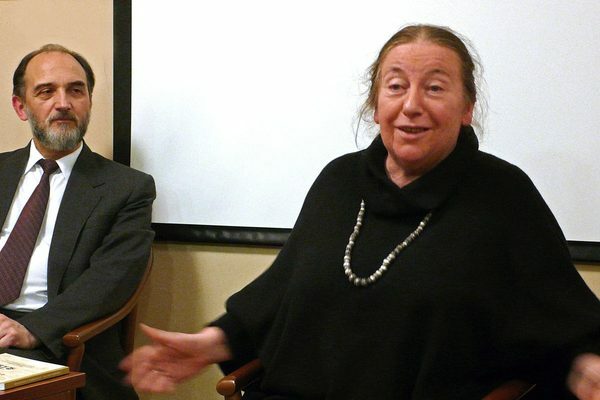 SFI holds an openended interdepartmental forum on contemporary anthropological issues. Anthropology and ecclesiology provide subjects for articles and presentations by SFI's leading academic staff, for SFI conferences and student research. The institute was created in a setting of believers who felt the need for public and academic education. In their eyes, spiritual education signified not only theological education as a specific discipline for study but also literature and people coming together at conferences to discuss pressing church and social issues. It was almost immediately upon inception that the institute started holding international theological conferences together with various educational, research and non-government organisations. 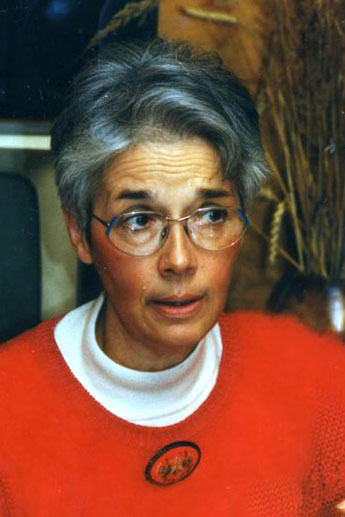 Publishing work began in 1991. 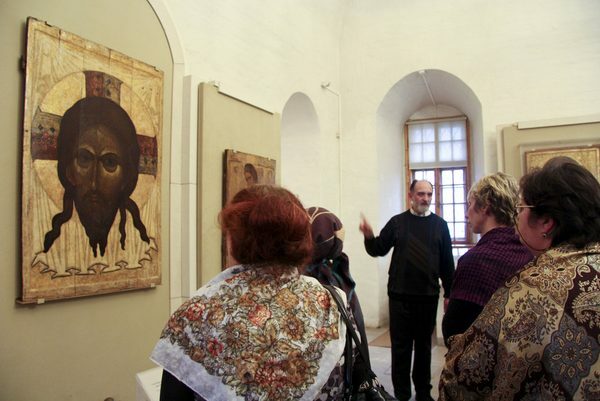 In 2011, together with the Transfiguration foundation for culture and education SFI created a portfolio of travelling exhibition projects illustrating the history of the church by focusing on the most prominent 20th century figures and events. The exhibitions are held in cooperation with regional church and social institutions, museums and diocesan offices.